Spacious and functional learning areas tailored to the needs of your facility. Asset Building Systems is committed to providing innovative design & construct solutions for Educational Building Structures across NSW, using our skills with construction to provide schools with protected areas for school children to study and play safely. Specifically design for educational use, our building designs include safety and convenience features such as: no painting on site, no bird resting points, no welding on site, and less posts to minimize obstruction to educational and sporting areas. 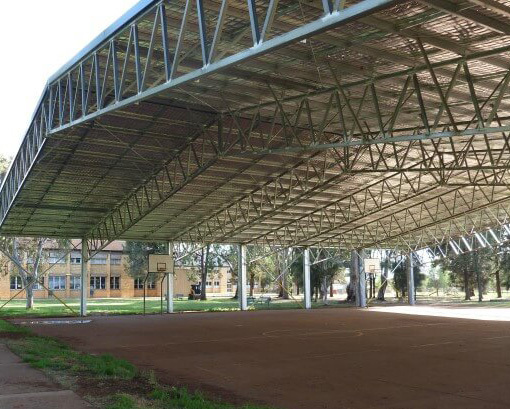 The Solid-Steel design of our structures provide full UV ray protection for school children to eat lunches, play basketball and study outside with no risk of sunburn. 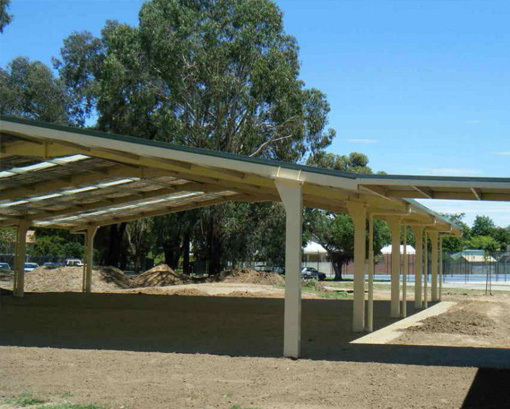 With Asset’s experience in construction of educational structures at schools across NSW, you can be confident you will be getting the best solution for your school. Our focus areas with educational building are Covered Outdoor Learning Areas and Covered Walkway structures. We custom design and build each building for your school’s specific situation and requirements, ensuring you get the right structure to support your school’s learning environment while minimizing any conflict of design with your school’s current buildings or grounds layout. So what’s involved? It’s easy – we can offer a design and construct solution, with engineering included, all as a done-for-you package. If you are a public school, the COLA will go through the DEC tender process first. If you are a private school, we can work with you through the whole process to help get it built in the best way for your situation, with minimum time-frame. Just contact us to get it started!